CHICAGO, IL, 2019-Feb-08 — /Travel PR News/ — Hyatt and S.D. 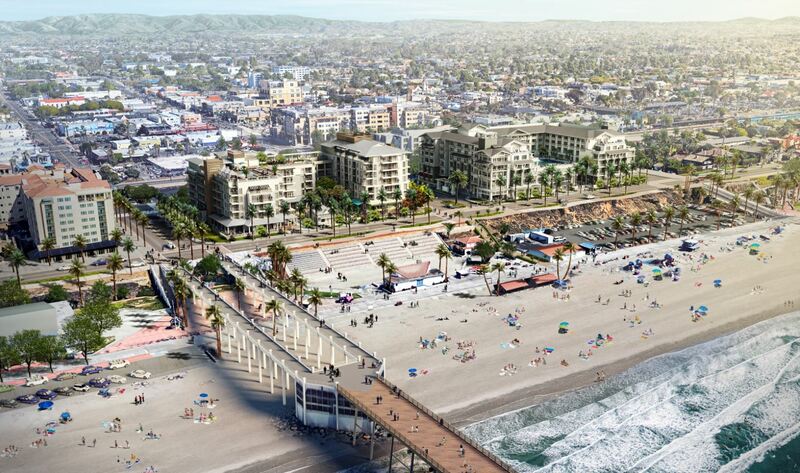 Malkin Properties, Inc., an innovative developer and owner of iconic retail, hotel, and entertainment destinations, today (February 6, 2019) will hold a groundbreaking ceremony in Oceanside, California on the site where two new properties are expected to open under the Joie de Vivre Hotels and Destination Hotels brands in late 2020. S.D. Malkin Properties, Inc. is a global real estate company specializing in creating and operating experiential retail and hospitality destinations for discerning global audiences. S.D. Malkin’s expertise includes retail, hotel and urban mixed-use projects in the United States, including the award-winning Hilton Gaslamp and Cable Building Lofts in San Diego as well as Two Rodeo Drive in Los Angeles and, through Value Retail PLC and VIA Outlets, affiliated companies, luxury factory outlet retail Villages in Europe and China. S.D. Malkin is also currently involved in the development of large scale, sports and entertainment anchored mixed-use master planned environments. S.D. Malkin Properties has offices in Greenwich, Connecticut and San Diego, California. For more information, visit www.sdmproperties.com. Destination Hotels is a collection of more than 40 upscale and luxury independent hotels, resorts and residences across North America. Each property is intentionally diverse and true to its location, transcending status quo in fresh, authentic and unforgettable ways. Serving as both the explorer and the guide, Destination hotels ensure a sense of genuine belonging and the chance to encounter life-enhancing discoveries. The award-winning portfolio features renowned golf courses, indigenous spas, and exceptional food and beverage options including bars, restaurants, cafes, and rooftops. Destination hotels capture the unique essence of each location through authentic experiences, immersive programming and genuine service. For more information, visit www.destinationhotels.com. Follow us on Instagram: @destinationhotels and Twitter: @Destination. Like us on Facebook: DestinationHotels. Since its founding in San Francisco in 1987, Joie de Vivre Hotels has made curating authentically local and eclectic experiences its signature. Each one of Joie de Vivre’s hotels is an original concept designed to reflect its location and engage the five senses. The brand has a collection of boutique hotels and resorts in California as well as properties in Chicago, IL, Washington, DC, Baltimore, MD, and New York. Joie de Vivre Hotels is establishing its foothold on the East Coast with two new properties in New York City – Hotel 50 Bowery and Park South Hotel – and the now-open Revival at Mount Vernon Place in Baltimore, MD. Follow @JDVHotels on Facebook, Instagram, and Twitter for news and updates. For more information, please visit www.jdvhotels.com. This entry was posted in Business, Hospitality, Hotels, Luxury, Resorts, Travel, Travel Management, Travel Services, Travelers and tagged Destination Hotels, Hyatt, Jeremy Cohen, Joie de Vivre Hotels, S.D. Malkin Properties. Bookmark the permalink.